As the name suggest two mews houses have been knocked together to create an attractive and spacious venue featuring both restaurant and bar areas. 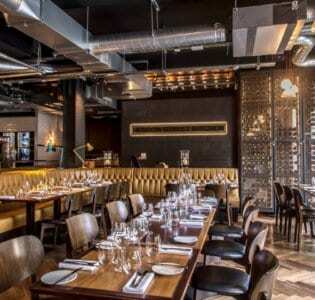 As the name suggest two mews houses (in Mayfair) have been knocked together to create an attractive and spacious venue featuring both restaurant and bar areas. Spread over four floors, it’s smart and stylish and well located, mere steps away from the designer boutiques of New Bond Street. Upstairs there’s an intimate dining space with a decent if unexciting modern British menu ham hock terrine, smoked duck salad, rump of lamb with roasted roots – all very nice but no fireworks. 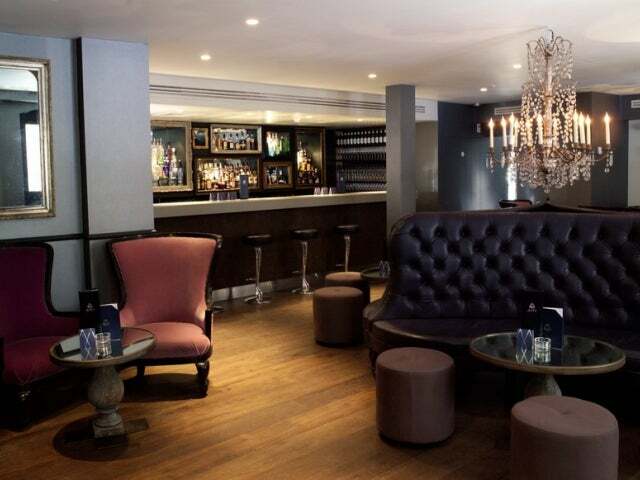 The downstairs cocktail bar is a more tempting prospect, peppered with comfy leather sofas and Queen Anne style chairs and dominated by an opulent eighteenth century chandelier, the room is glamorous and glossy (much like the people who drink there: this place is very Mayfair). 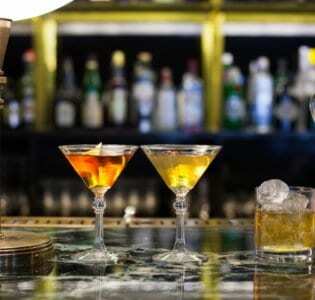 There’s a good wine list with a particularly wide range of champagnes and some excellent, fresh-fruit cocktails including the Mews Mai Tai, made with apricot, mint and three different rums. 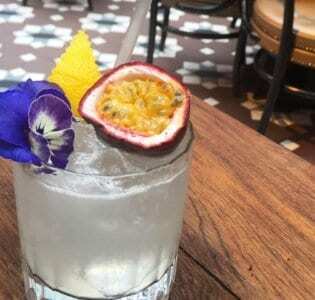 We’ve also taken a shine to the Serendipity, made with vodka, lemon zest and lychee. The cobbled courtyard is a fantastic place to linger on a warm summer evening in the sunshine and the basement lounge, with its retro curving banquettes and illuminated bar, is worth checking out if you’re keen to let your hair down.